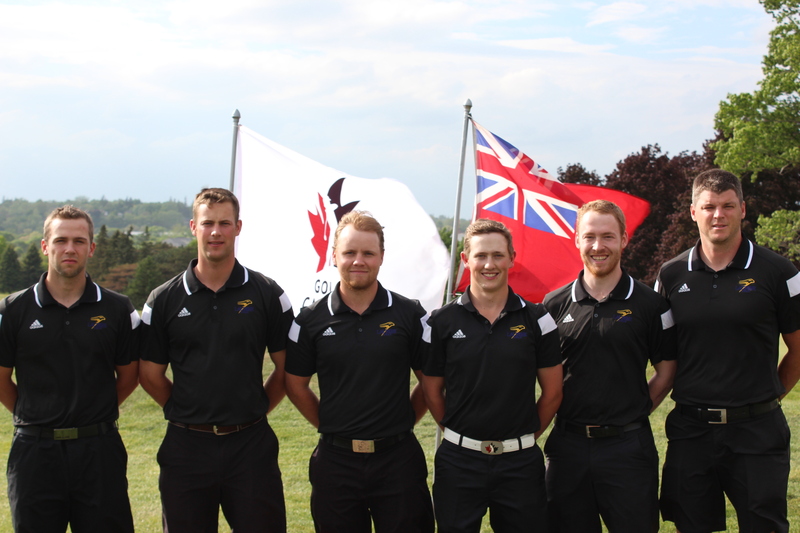 On May 29, the Wilfrid Laurier University golf team returned to nationals for the second time in four years and recorded their strongest finish by securing fifth place at the Canadian University/College Championships. The team, which consists of first-years Daley Byles and Eric Flockhart, second-year Austin Ryan and fifth-year Jacob Bishop competed against top universities across Canada in a national tournament hosted by Golf Canada. Flockhart finished the week with the strongest place in Laurier history, posting a score of nine-over-par at 289 and all alone in 13th place, while teammates Byles, Bishop and Ryan finished in 17th, 20th and 48th respectively. The tournament consisted of both team and individual play components. Golfers would have their individual scores added up to give the total overall team score for the day over the four-day tournament. Each team played three rounds of 18 holes, with the top 10 teams from the men’s side moving onto the final round. After two rounds of play, the Hawks sat all alone in second place in the team standings, eventually finishing fifth. Despite most Ontario University Athletics sports, Golf Canada hosts nationals in May when the conditions are more favourable. “When we come to school we have our OUA season, and it goes all the way to the end of October. Then we can’t really have the national championship after that, because you wouldn’t have consistent weather so [the OUA] put it in May at the start of next year, as a bit of a wraparound season,” Ryan said. Flockhart, who originally played at Mount St. Mary’s University in Maryland before coming to Laurier, was impressed by the amount of competition in the OUA after playing in the NCAA south of the border. “It’s great. The golf is a lot more competitive than I thought it was going to be. There are some really good players that I kind of grew up playing with stayed in the area, which is cool. It’s been a lot of fun,” he said. With their strong showing, the team is confident that their success at nationals will translate into the Laurier season this fall. “We have three out of the five players that played at nationals for us coming back this fall, and we have a really deep team for the fall, so we should be really competitive again when the OUA season comes around,” Flockhart said. The team will be back in action when the 2015-16 season kicks off in September.